After a week of lots of amazing food at many different celebratory tables, this might be a good time to return to something not terribly rich or fussy. This Apple Brown Betty certainly fits the bill. Although it’s been around since colonial times, I’ve just discovered in the waning days of 2011 yet another way to enjoy the pleasures of fresh fruit prepared simply. 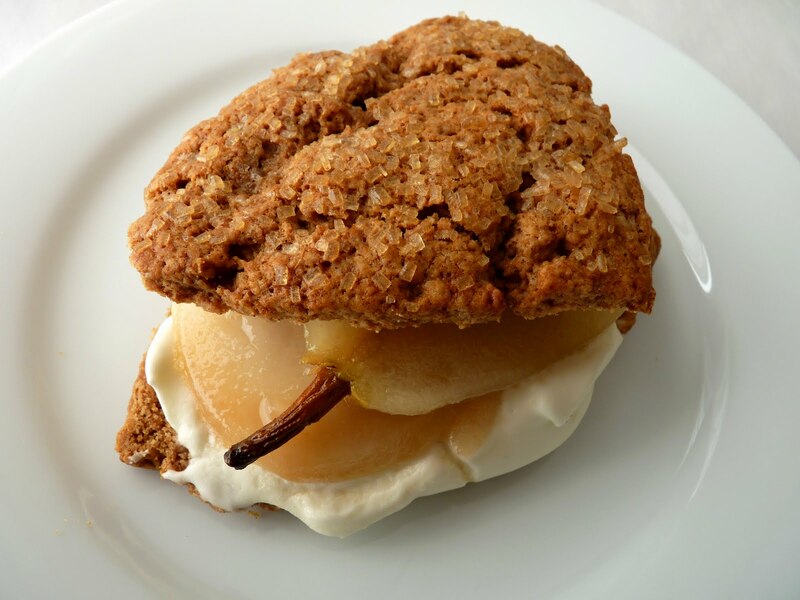 Bread makes a strong showing in the realm of desserts in the form of Apple Charlotte, bread pudding and summer pudding. 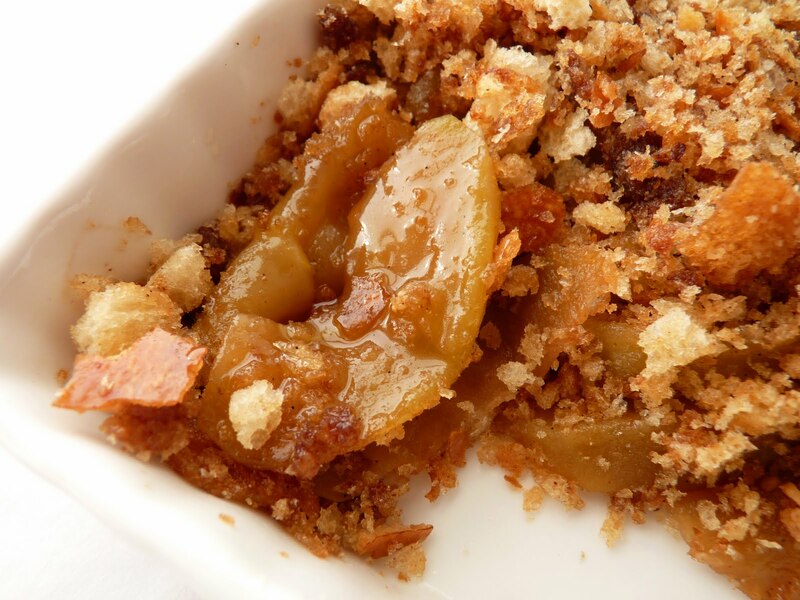 Apple Brown Betty is a combination of simmered apples and toasted breadcrumbs. Not at all fancy but tremendously satisfying and easy to prepare. Some recipes call for baking the dish in the oven but I took the easy route. In this version, I toast the breadcrumbs with butter, brown sugar and cinnamon and simply sprinkle them on top of apples that have been sautéed with vanilla and a splash of lemon on the stove top. 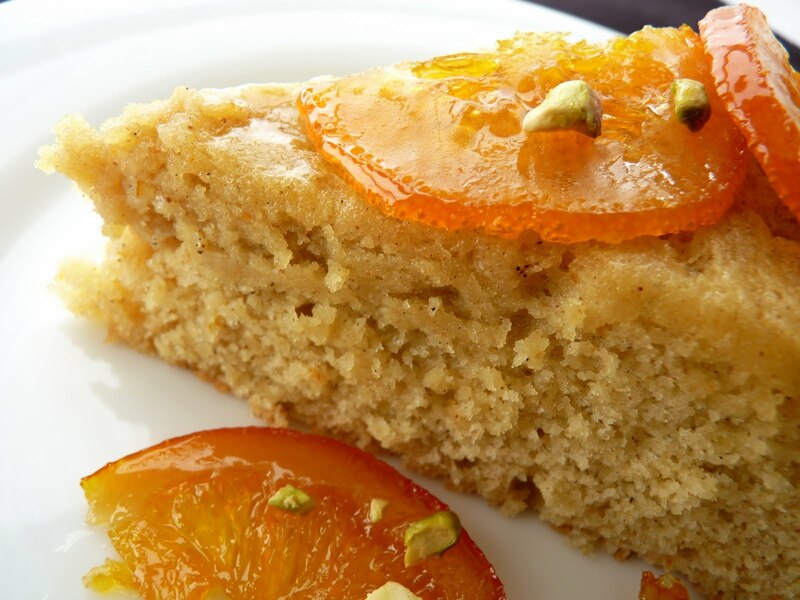 Just a few ingredients and a couple of quick steps and you have an enjoyable treat to share on a cozy evening. I wish everyone a very, very Happy New Year. May we all have lots of delicious moments and morsels in 2012 and savor each and every one of them to the fullest. - I chose Fuji apples for this dessert. - Use your favorite bread, such as pain de mie, whole wheat or levain. I used a baguette, including the crust. - Add a small dash of rum or brandy to the apples for something a bit more festive. 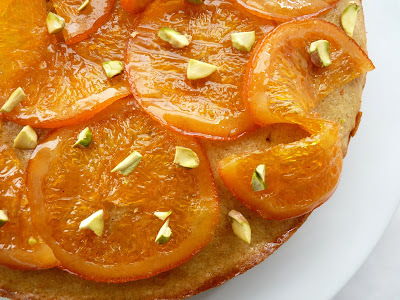 - For more embellishment, serve with ice cream, a dollop of whipped cream or honeyed yogurt. - You can make this ahead and reheat in a 350 degree oven for about 10 - 15 minutes. Tear bread into small pieces and place in the bowl of a food processor. Process briefly to make coarse bread crumbs. Pour into a bowl. Line a baking sheet with parchment. Melt the butter and whisk in the brown sugar and cinnamon. 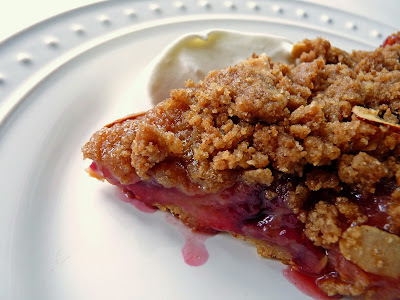 Drizzle over breadcrumbs and toss quickly to coat. Spread out in one layer on baking sheet. Toast the breadcrumbs in the oven, stirring occasionally and turning pans halfway through, until golden brown and crisp, about 25 minutes. Cool on a wire rack. Peel, core and slice apples into 1/4" wedges. Melt butter in a large sauté pan. Split vanilla bean, scrape the seeds and add to butter along with the bean casing. Stir to distribute. Add apples, lemon juice and zest. Cover and cook over low heat, stirring occasionally, for about 10 minutes. Remove vanilla bean. Add sugar and continue to cook and stir until the sugar dissolves. Taste for sweetness. Top with toasted breadcrumbs and serve warm. As we busy ourselves preparing for upcoming holiday meals and festive parties in celebration with friends and family, perhaps among your platters there will be small morsels of phyllo dough hors d’oeuvres. And if you happen to have a few spare sheets of phyllo, Chocolate Napoleons are an easy and super delicious way to enjoy the remainder. 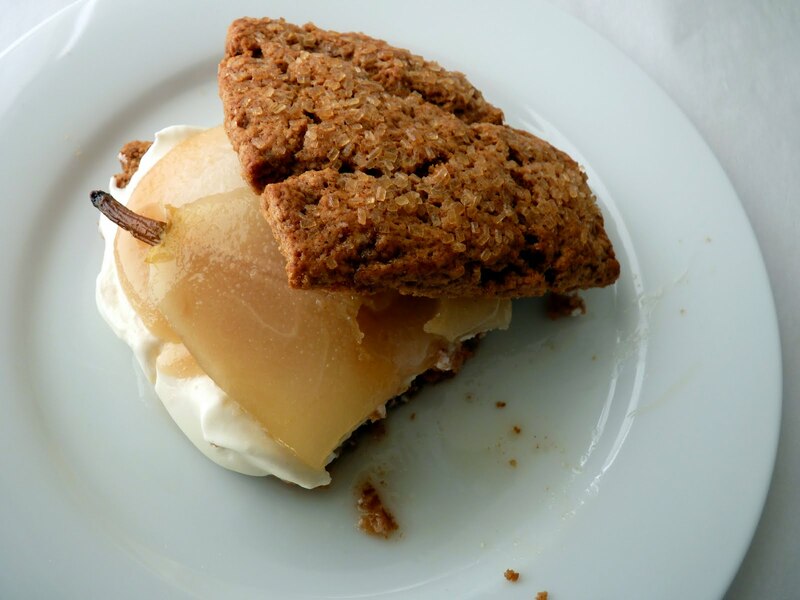 This is a riff on a dessert from Gale Gand featured in the grand Baking with Julia collection. 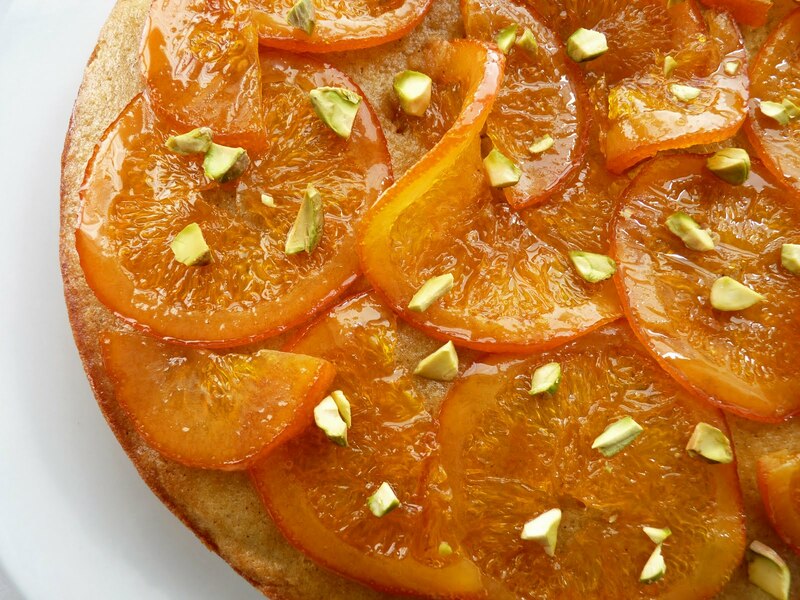 It’s a crispy crunchy lighter-than-air dream of a pastry that has guests devouring every morsel faster than you can say, would you like some dessert? It’s one of my favorites because it’s a perfect combination of textures and flavors that combine seamlessly, one into another. The cocoa is not overwhelming, the pears and raspberries freshen the palate and the cream makes it feel like the purest of luxuries. It's nearly weightless and there is no feeling of over consumption once you’ve enjoyed every last bite. To prepare the pastry, cocoa powder is added to melted butter to make a thin paste, which is then slathered on sheets of phyllo. Each sheet is sprinkled copiously with sugar that I’ve combined with cardamom. The phyllo is baked flat and then broken randomly into crisp, crunchy shards of pastry. Using phyllo instead of the usual puff pastry creates thinner, crispier, lighter layers that snap into tastes of only slightly sweet chocolate. It took me much longer to think about composing this than it actually takes to make it. 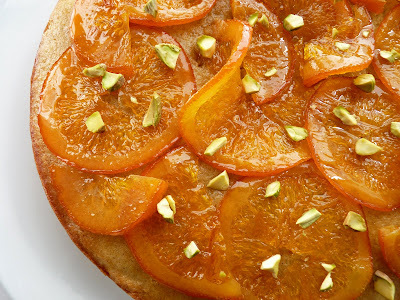 Once you have the phyllo baked off, the dessert is assembled in just a few seconds. Poached pears are layered with billows of whipped cream scented with almond extract and the whole dish is garnished with a few slightly sauced tart raspberries. And in no time at all, it will be blissfully enjoyed by all. I send everyone my very best wishes for a really wonderful holiday. May your days be merry and bright. Cheers!! - A few tips for working with phyllo: 1) Phyllo is usually found in the frozen food section of your market. Let it thaw at least 24 hours in your refrigerator without opening the package. (Trying to hurry the thawing process @ room temperature will result in phyllo that has too much moisture. Also, if you try to work with it when it’s too cold, it will crack.) Thawed phyllo in the package will keep in your refrigerator a few days. 2) Always have all your ingredients ready before you remove the phyllo from the packaging. Set up your work station so your phyllo and butter are in close proximity. 3) Remove the phyllo from the packaging and unfold it on a clean dry towel. Cover it immediately with another clean dry towel so that the entire surface is covered. (Although some suggest a moist towel, I find that only tends to render the phyllo sort of gummy.) The sheets are very thin and they will dry out and become brittle very, very quickly if they make contact with air for just a couple of minutes. So cover them completely after you remove each sheet. Keep your hands dry. 3) Don’t worry if a sheet tears. Just patch it with the piece that broke off. It doesn’t matter much because the sheets get layered. 4) Unused phyllo should be rewrapped tightly in the same protective packaging ASAP and refrigerated immediately. It will keep for a couple of days. Some people say it can be tightly packaged and re-frozen but I haven’t tried it. 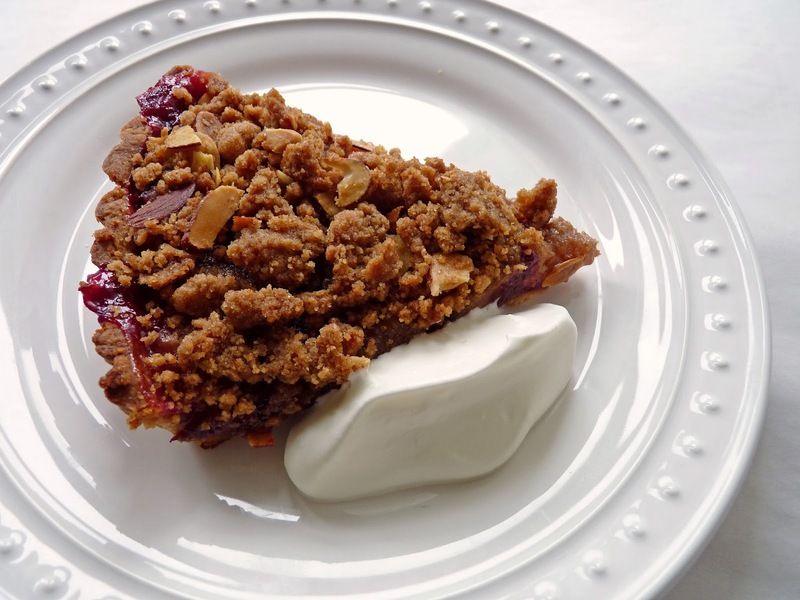 - Gale Gand’s version of this dessert looks delicious and includes layers of chocolate ganache and simmered cranberries instead of raspberries. I omitted the ganache because I wanted the dessert to be lighter and I thought it would overpower the fruit. I couldn’t find fresh cranberries so I used raspberries. I think they make a perfect substitution. I also cut the butter in half. (She doesn’t appear to use it all in the making of her version.) For a step-by-step demonstration of how Gale Gand prepares her dessert, watch the video. Her original recipe is also included there. - If you have a standard 13" x 18" half-sheet baking pan, you can simply make one large 3 layer pastry rather than cutting the phyllo in half and making two separate 3 layer pastries. Sprinkle 1 tablespoon of sugar on each layer. - Once the chocolate phyllo is baked let it cool completely before handling. It will darken and firm up once it’s cool. Carefully peel off the parchment and handle it very gently. - In general, I never suggest canned fruit but if you’re crunched for time or if you don’t have access to fresh and you can find a good can of pears go ahead and substitute that for the fresh. Be sure to drain the pears on paper towels before assembling the dessert. 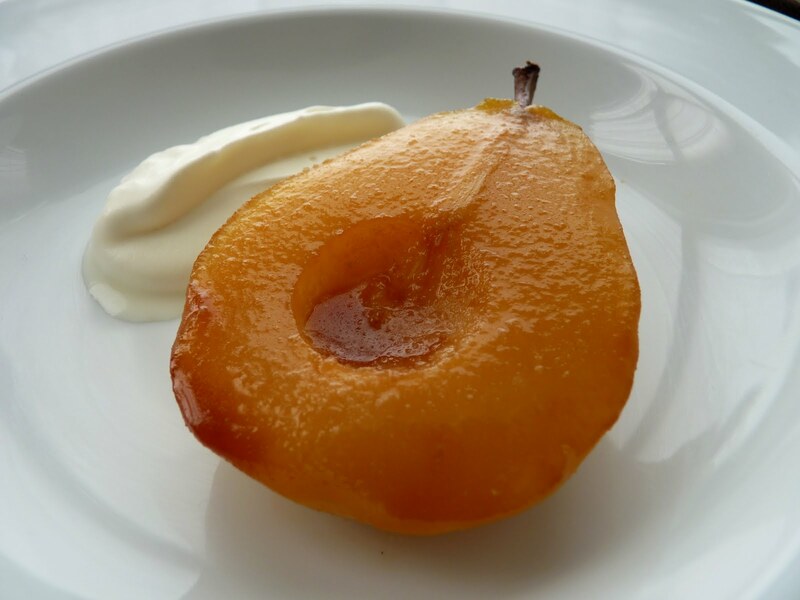 To poach the pears, bring the water, sugar, lemon juice and vanilla bean to a low simmer. Peel the pears. Slice in half and core them. Place in the poaching liquid as you go. Cut out a piece of parchment to fit the surface of the poaching liquid and place it on top to seal in the steam. Simmer for about 10 - 15 minutes until tender. Remove from heat and cool completely. Using a slotted spoon, remove the pear halves from the poaching liquid and place on paper towels to absorb any excess liquid. Take a paring knife, slice into quarters and cut 1/4” vertical slices into each piece from blossom to stem end, stopping about 1/2 inch from the top so that the slices remain connected. Set aside. Melt the butter and whisk in the cocoa to make a thin paste. Set aside. Combine sugar and cardamom together and set aside. Preheat oven to 350 degrees. Line a baking sheet with parchment paper. Place two more sheets of parchment and another baking sheet nearby. Open the phyllo package and place the sheets on a clean dry towel. Cover the entire surface of the phyllo immediately with another clean dry towel. Remove 3 sheets of phyllo and cut in half crosswise to create six 8 1/2” x 13” rectangles. Return them back under the dry towel and keep them covered. Place one of the half pieces of phyllo on the parchment-lined baking sheet, brush it with cocoa butter mixture and sprinkle with 1/2 tablespoon of the cardamom sugar mixture. Cover with another sheet of phyllo, brush with cocoa-butter, and sprinkle with 1/2 tablespoon sugar. Repeat with one more phyllo sheet and sprinkle the last phyllo sheet with 1/2 tablespoon sugar. Cover the stack with a piece of parchment paper and repeat this process - stacking, brushing, and sprinkling with the remaining 3 sheets of phyllo and sugar. Cover with parchment paper and top with a baking sheet to weight the phyllo and keep it from puffing. Bake the phyllo for 10 to 15 minutes, until the sheets are golden and crispy. Transfer the baking sheet to a wire rack, remove top baking sheet and cool completely. Once cooled, carefully remove the parchment and separate the two consolidated stacks of pastry. Gently break each sheet into 6 pieces for a total of 12 pieces to allow 3 phyllo shards for each napoleon. Place half the raspberries in a small bowl and sprinkle them with 2 teaspoons of sugar. Macerate for about 20 minutes, then press through a strainer to remove the seeds. Toss this sauce with the remaining fresh whole raspberries. Set aside. 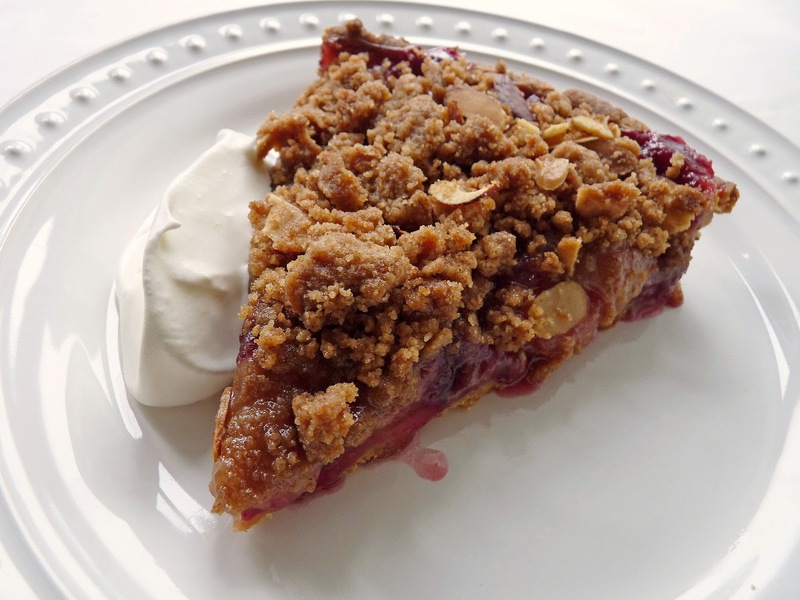 Whip the cream, sugar and almond extract just to a very soft peak. To assemble the napoleons, place a small dab of whipped cream in the center of each of four dessert plates. Rest a shard of cocoa phyllo on the cream and press it down gently to anchor it. Top with a spoonful of whipped cream. 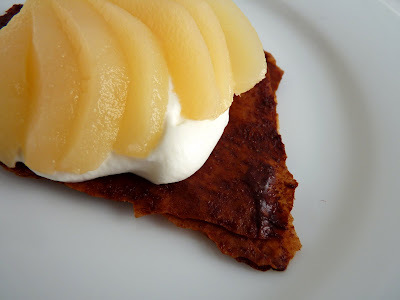 Fan the slices of pear and place them on top of the cream. Add another small dollop of cream. 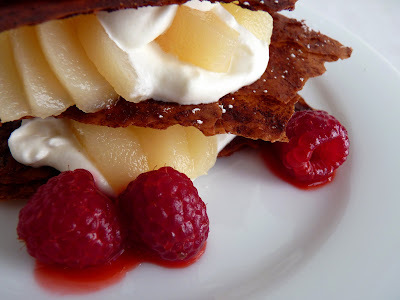 Repeat with phyllo, cream, pear and more cream, topping with a third piece of phyllo. Dust each top piece of phyllo with confectioner’s sugar. Garnish with raspberries. Serve immediately. For me, the holiday season hasn’t really begun unless and until I reach into my cupboard for several jars of spice. Whether it’s pumpkin pie, gingerbread or cookies, the kitchen isn’t really firing on all cylinders until it’s full of the aromas and flavors of the sweetness of cinnamon, the brightness of nutmeg, the complexity of allspice, the magic of cardamom or the depth of cloves. 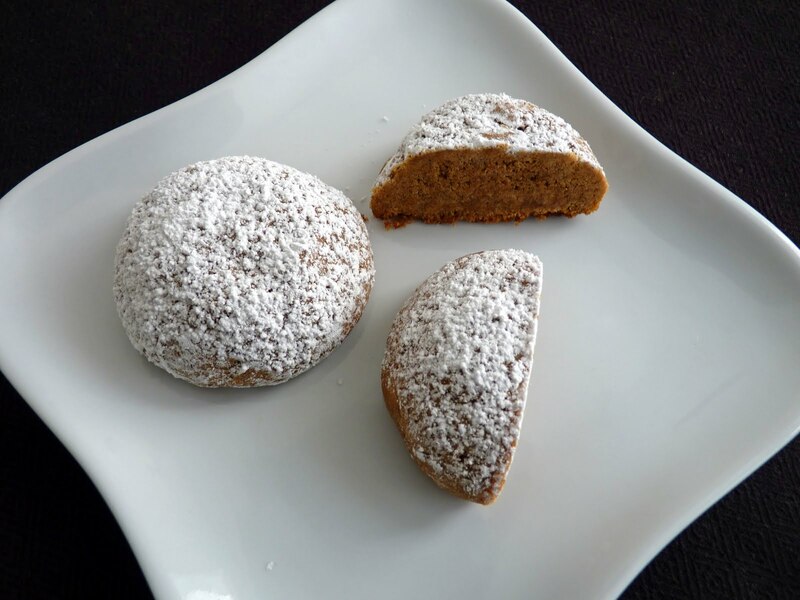 Most countries have a long tradition of preparing some sort of spice cookie for the holidays. 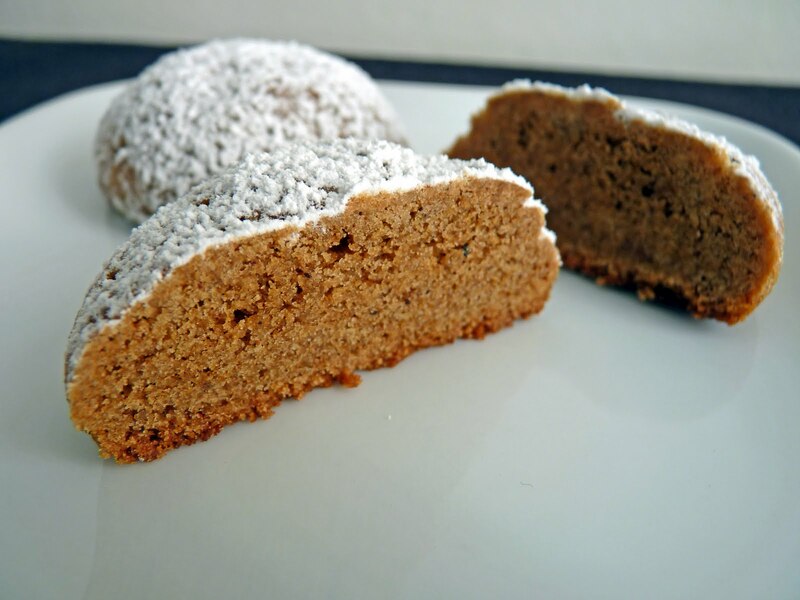 Some of my favorites are Lebkuchen (Germany), Cuccidati (Italy), Pepparkakor (Sweden) and Basler Brunsli (Switzerland). I’m sure your family has its own must-haves each year. One cookie I haven’t tried is the Pfeffernüsse from Germany. Translated as “pepper nuts,” these include freshly ground pepper for a more complex spicy sensation. 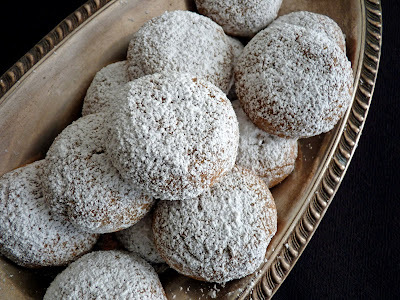 There’s also molasses for the delicious richness so typical of the season. This recipe is from Williams Sonoma. The cookies are crispy on the outside and soft on the inside and are a perfect representation of the holiday spirit. I hope you are well on your way to preparing your cookie platters to the delight of family, friends and neighbors. 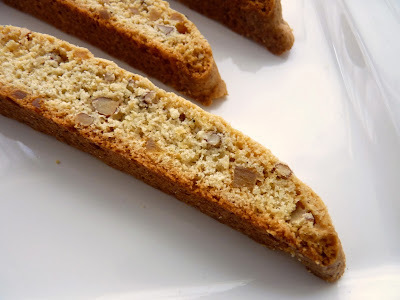 - There are of course lots of different versions of this cookie. 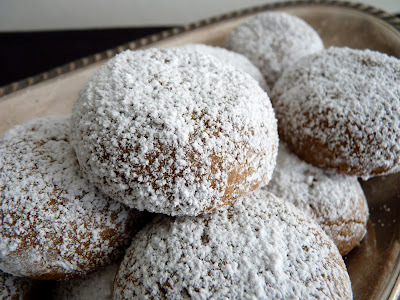 Some are finished with lemon glaze rather than confectioner’s sugar, which sounds intriguing. - I used a #40 ice cream scoop to portion these cookies. It speeds up the process and creates uniform cookies. 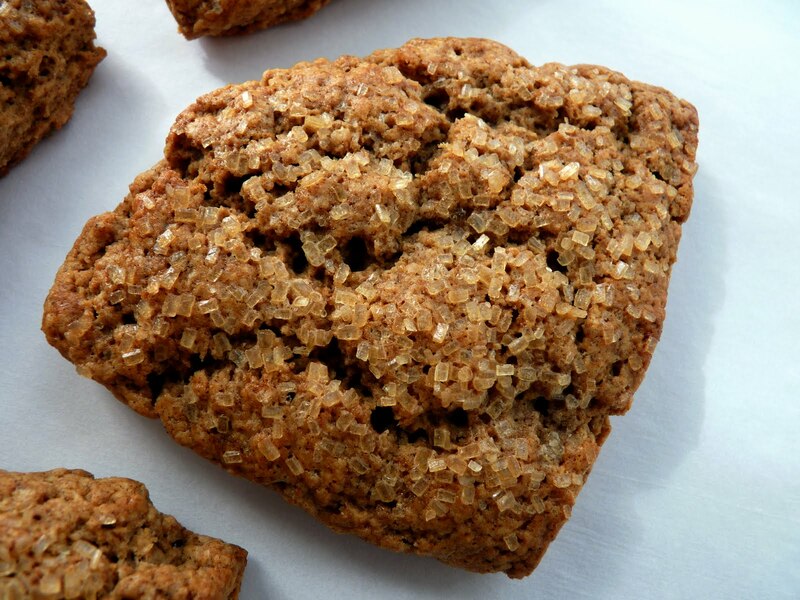 You can make smaller cookies for a higher yield and bake them 10 – 12 minutes. - This is always a perfect time of year to check your inventory of spices to make sure they’re fresh. I like to buy in small quantities from my local bulk store. - If you're like me, you may want to increase the spices if you like more depth. I doubled the cinnamon and used heaping amounts of allspice and nutmeg. Sift together the flour, salt, pepper and spices. Beat the butter and brown sugar until light and fluffy, about 4 minutes. Beat in the molasses. Add the egg and combine thoroughly. Scrape down the bowl. Lower the speed and add the flour mixture. Beat just until the dough is nearly combined. Remove from the mixer and finish mixing the dough using a rubber spatula. Place the dough onto a piece of plastic and shape into a disc. Wrap tightly and refrigerate until the dough firms up. Preheat oven to 350 degrees. Prepare two baking sheets with parchment or silpats. Portion dough into balls 1 1/2” in diameter. Place cookie sheets about 2” apart. Bake until the cookies are golden brown on the bottom and firm to the touch, about 13 - 15 minutes. Cool slightly on a wire rack. Dust or roll the cookies in confectioner’s sugar. 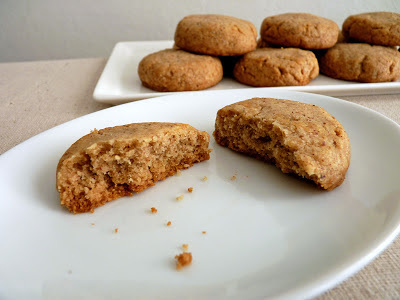 If you’re a fan of the rich nutty flavor of brown butter and also a fan of the caramel notes that come from using brown sugar, chances are you’ll enjoy this super tender cookie that features the subtle deliciousness of both. There’s nothing terribly fancy or complex about these cookies but they are somehow pretty irresistible. 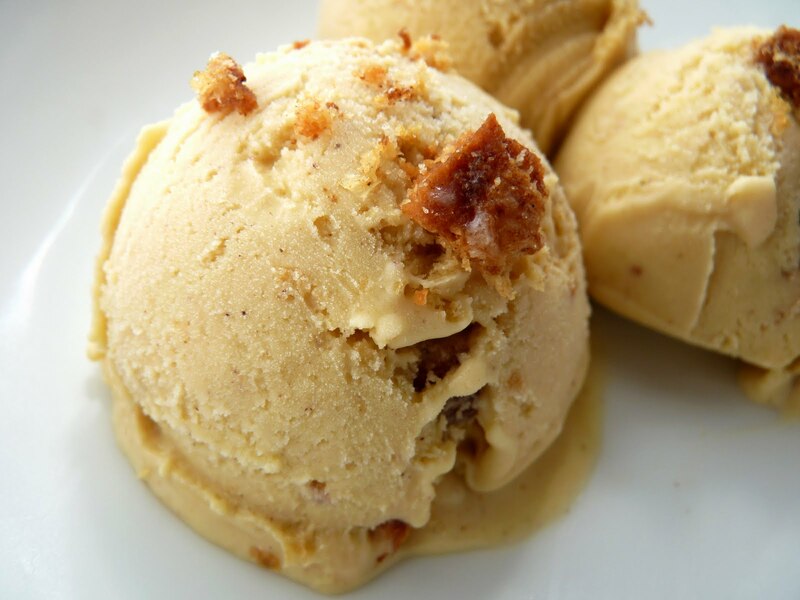 Pecans are finely ground with the flour to enhance the nuttiness of the brown butter. 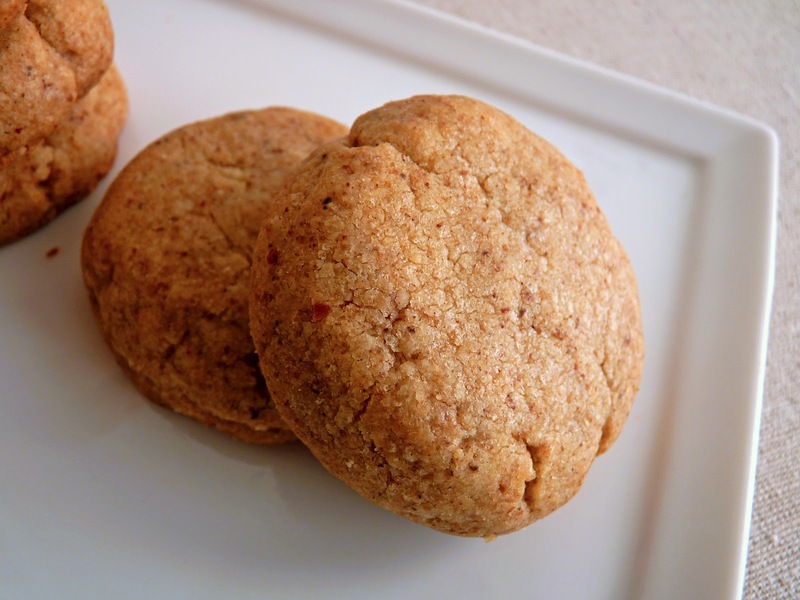 The brown sugar adds its distinctive flavor while the granulated sugar preserves the crispy texture. The egg yolks provide a large measure of tenderness. Vanilla adds to the flavor profile and salt gives the cookie a distinct edge. So there you have it - a crispy, crumbly, buttery, not-too-sweet shortbread cookie to share with cookie lovers, especially during this season of appreciation and giving. - Toast pecans in a 350 degree oven for about 10 minutes. - If you don’t have a vanilla bean, add 1 teaspoon of vanilla extract to the butter after it has browned. 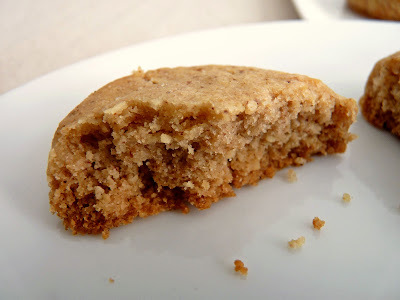 - For a good illustration of how to brown butter, see the guidance at Simply Recipes. Use a stainless steel pan so you can watch the butter carefully as it can take just a moment to burn. Once you begin to detect a nutty aroma, it’s just about ready. I lift the pan off the heat and swirl for more control if I think it’s browning too fast or nearly done. It will continue to brown once you take it off the heat. Pour immediately into a heatproof bowl to stop the cooking. Cut the butter into small pieces and melt in a saucepan over medium-low heat. If using a 1/2 piece of vanilla bean, cut it lengthwise, scrape out the seeds and add it to the butter along with the casing. Swirl the butter carefully as the foam subsides, the mixture begins to brown and the flecks on bottom of pan turn golden. Lift off the heat periodically to check on the browning and to avoid burning. The browning only takes about 5 – 6 minutes. Pour into a clean container and set aside to cool. If you didn’t use a vanilla bean, add 1 teaspoon of vanilla extract at this time. Place the flour and pecans in the bowl of a food processor and process until the nuts are finely ground. Add the salt and sugars to the flour mixture and pulse to blend. Remove the vanilla been casing from the browned butter and add. Pulse just a few times to begin to combine. Add yolks and pulse until the dough starts to clump around the center of the machine. Pour the dough onto a piece of plastic. Press into a disc and wrap tightly. Place in the refrigerator for about an hour to allow the flour to soak up the butter and the dough to firm up. Line 2 baking sheets with parchment or silpats. Shape dough into balls about 1 1/4” in diameter. Place 12 on each baking sheet and press down gently to flatten just a bit so cookies measure about 2” in diameter. Bake for about 15 – 18 minutes until slightly brown and firm to the touch, rotating pans from top to bottom and front to back about half-way through the baking. Cool on a wire rack. 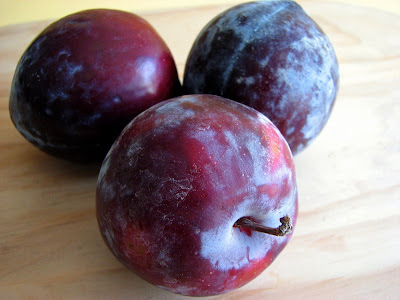 The end of plum season has sadly arrived, so I'm thinking of this as Last Chance Plum Sorbet. It’s an icy cold concoction of tart and sweet and a burst of bright color. 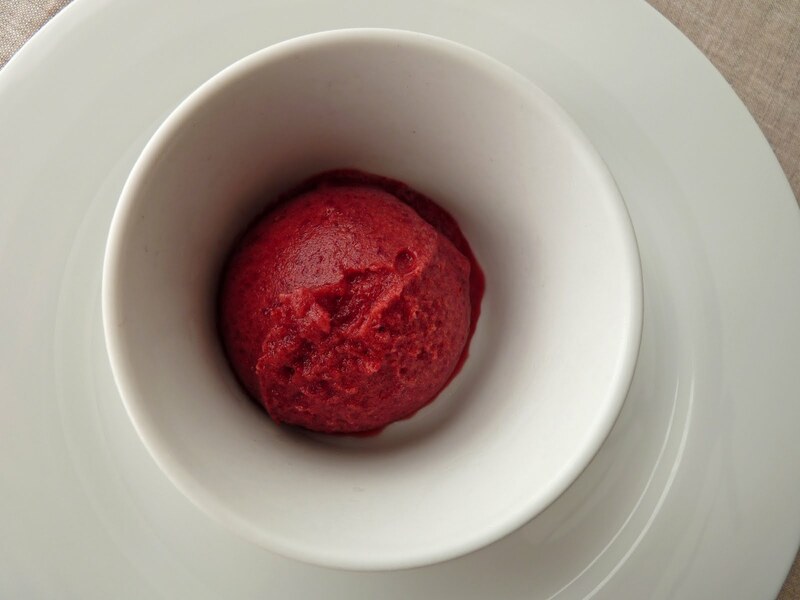 Sorbets are usually a fast and easy way to celebrate the pure flavor of fruit and this recipe from Emily Luchetti is no exception. The plums go into a handy food processor to become fruit purée. Put it through a strainer, add sugar, water, salt and lemon juice and off it goes into the refrigerator to chill. Give it a churn in your ice cream maker and there you have it. 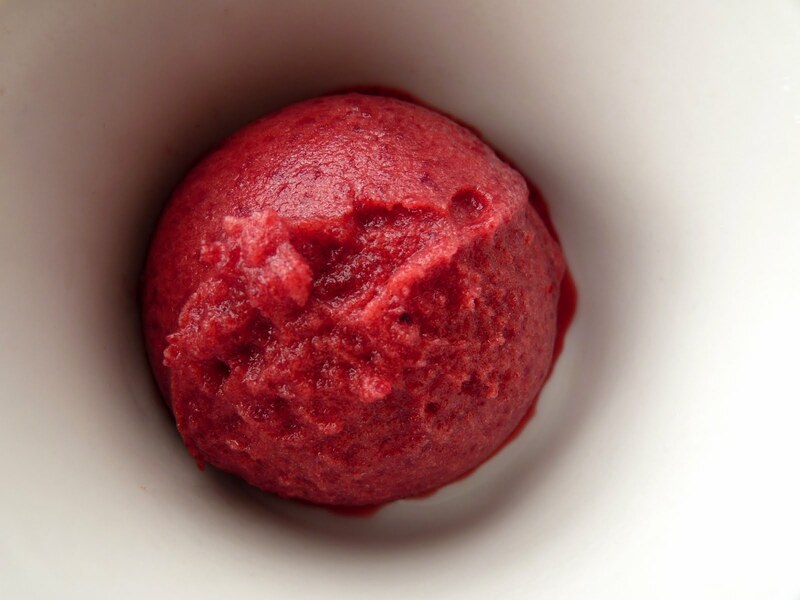 Last Chance Plum Sorbet. 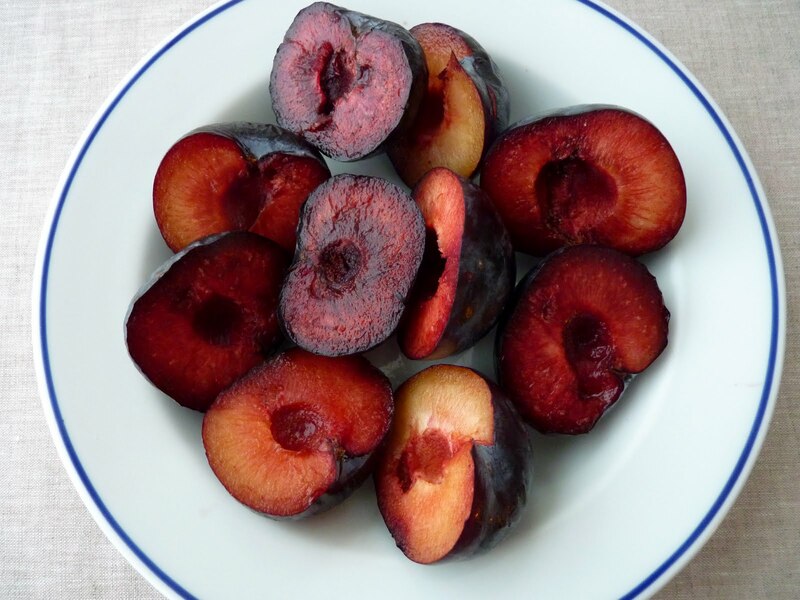 - Choose plums that are ripe but still fairly firm. - If you decide to add more sugar, go easy or the sorbet won’t freeze properly and it will be very slushy. - Add a tiny note of good quality kirsch if you’d like. Halve the plums, remove the pits and cut into 1/2” pieces. Purée the plums in a food processor until smooth. Strain through a medium-mesh sieve into a bowl. There will be about 2 3/4 cups purée. Whisk in the sugar, water, salt and lemon juice. Taste for sweetness and add a little more sugar if it tastes too tart. Chill thoroughly. Churn in your ice cream machine according to the manufacturer’s instructions. Pour into a clean container, press a piece of plastic into the surface, cover and freeze for about 4 hours or until the sorbet can be scooped. 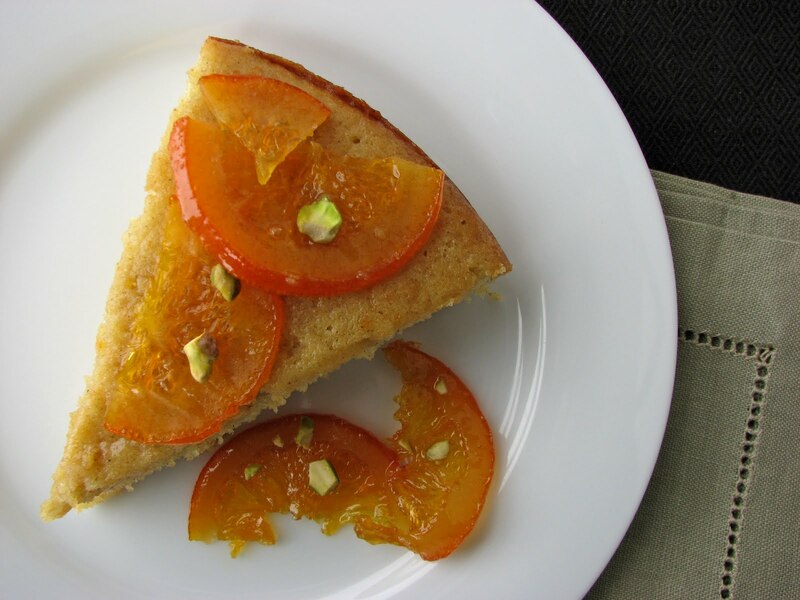 As we head full speed ahead into what will surely be a season of busy kitchens bustling with inspired cooking and baking of all kinds, this recipe is blissfully simple. Not quite a full-blown pie, these squares are a super delicious pastry for those of us who can’t bear to wait for that dose of traditional Thanksgiving dessert coming in a few short days. So this is a sort of sneak peek of pumpkin enjoyment right now. I think you’ll be thrilled you didn’t have to wait. To be sure, all the familiar elements are here - lots of spice and a lovely crust. But there’s also the additional benefit of chewy oat goodness added to a pastry dough that is pressed into the pan rather than rolled. The orange zest in the pecan topping adds a little burst of fresh citrus flavor. 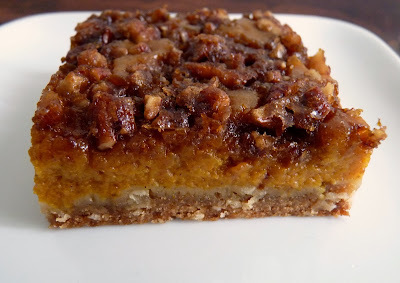 The pecan topping really adds a lot of flavor without being overly sweet. 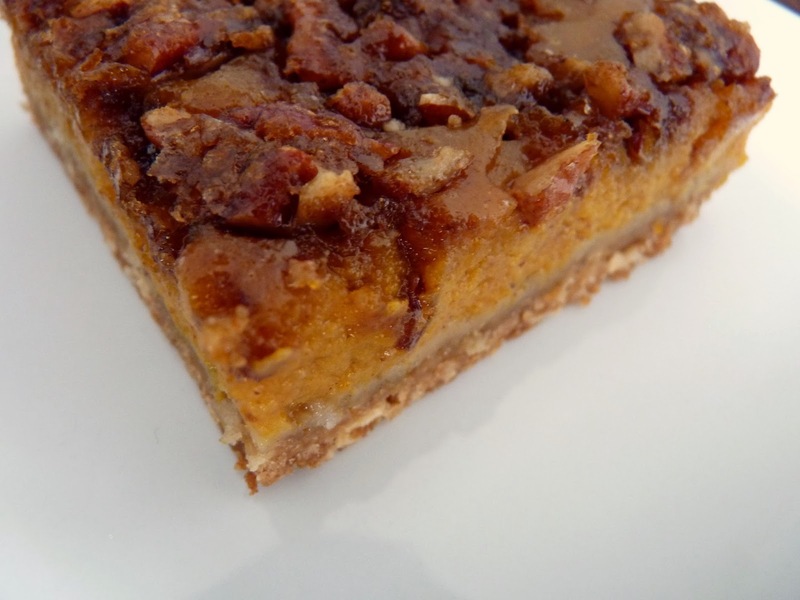 Easy to throw together in the midst of a full schedule, this test run for the holidays is an irresistible treat of creamy soft pumpkin custard and buttery brown sugar caramelized pecans, the best of both holiday pie worlds. You will likely be extremely tempted to eat more than your fair share. Let's get this party started! - Yes, you can smuggle some rum or brandy into the whipped cream. ‘Tis the season! - You could make the pastry base in a mixer but it’s much more fun to just mix it with your hands. - The pumpkin filling has to bake for 20 minutes to set up a bit before adding the pecan streusel to prevent it from sinking to the bottom. - The squares will continue to firm up as they cool. Store leftovers in a covered contained in the refrigerator. 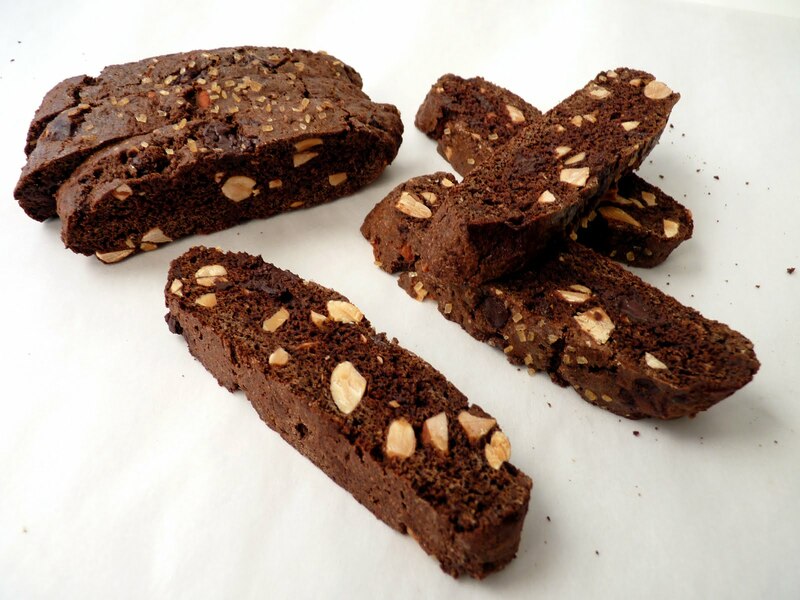 - This recipe makes 12 servings. It can be doubled and baked in a 9" x 13” pan. You won't be able to lift it out of the pan easily so just cut into squares and remove by sections. Prepare an 8” square pan and line with parchment with a few inches overhang on two sides. Combine the flour, oats, brown sugar and salt in a bowl. Cut the butter into small pieces and work into the dry ingredients. The mixture should look like moist streusel. Press into the prepared pan in an even layer. Bake for 13 minutes. Remove from the oven. 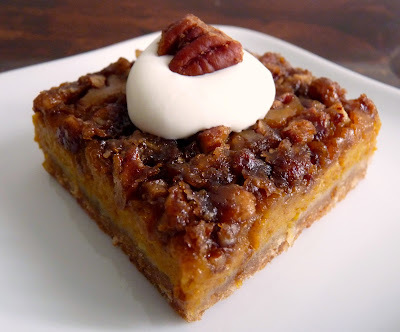 Whisk together pumpkin filling ingredients and pour into the baked crust. Bake for 20 minutes. 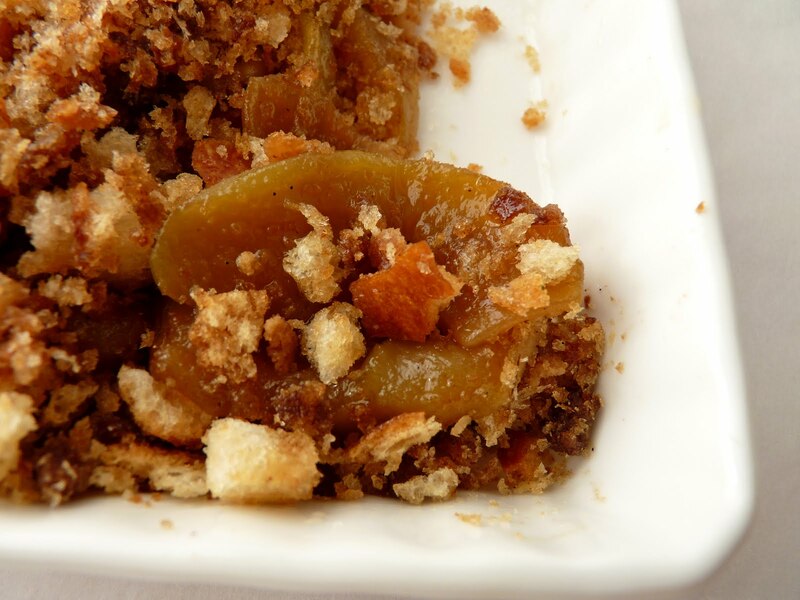 While the pumpkin filling is baking, prepare the streusel by combining the pecans, brown sugar and orange zest. 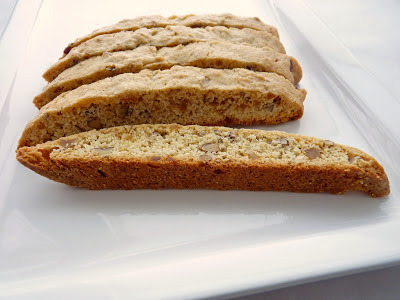 Cut the butter into small pieces and work it into the nut mixture until it's moist and crumbly. When the pumpkin filling has baked for the initial 20 minutes, sprinkle the streusel evenly over the surface. Return to the oven and bake an additional 15 - 20 minutes until filling is set. Cool completely. Remove from pan and cut into 12 squares. Serve with a dollop of whipped cream, if desired. When you work in a French pastry kitchen, puff pastry is the centerpiece of production. It takes a long time to prepare and due to the amount of butter involved, is quite dependent on temperature conditions. It's used for a range of classic French pastries, from tart bases to Chaussons aux Pommes, Napoleons and Palmiers, a small cookie-like pastry in the shape of a palm leaf. Puff pastry is always baked off to a deep golden brown to ensure its flakiness and full flavor. 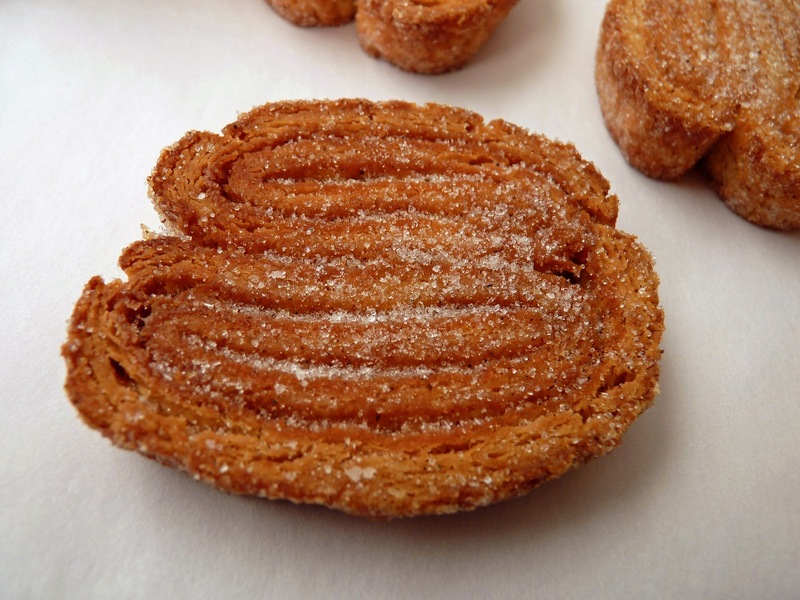 For Palmiers, a rectangle of pastry is rolled up from each side toward the middle to form a palm shape. 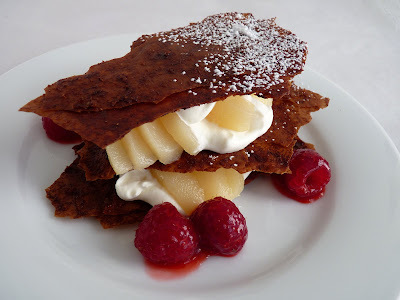 Sugar is layered into the folds to create a caramelized look and taste. This recipe for Palmiers from the incomparable Alice Medrich substitutes a very easy butter and cream cheese pastry for the laborious puff pastry. 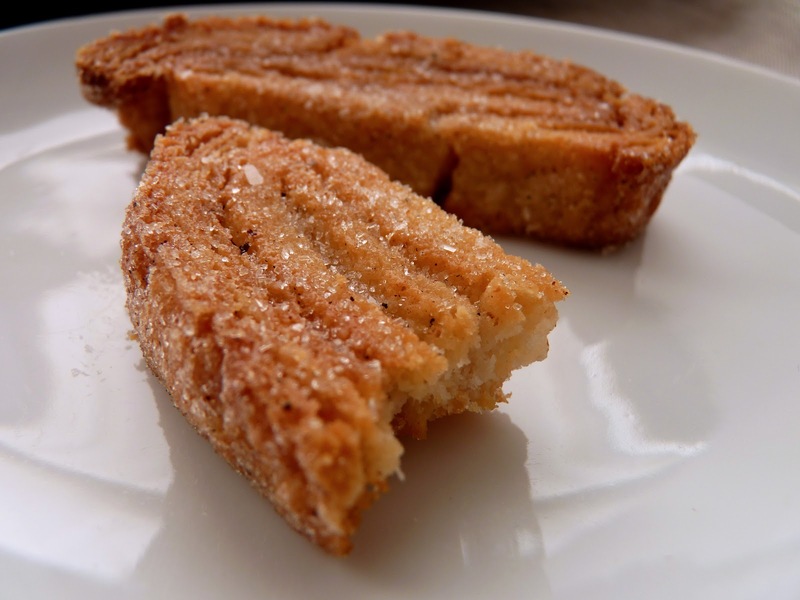 She then introduces cardamom to the sugar that is sprinkled throughout. This subtle but unmistakable embellishment makes for a super delicious variation on a theme. 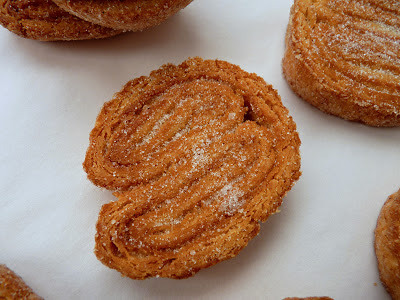 The utter simplicity of Palmiers is turned into a very different experience just by the haunting touch of spice. My advice would be to make sure you’re not alone when these come out of the oven. The aroma, the beautiful caramelization, the crunchy, crispy, chewy tenderness will have you unabashedly reaching for another slice. 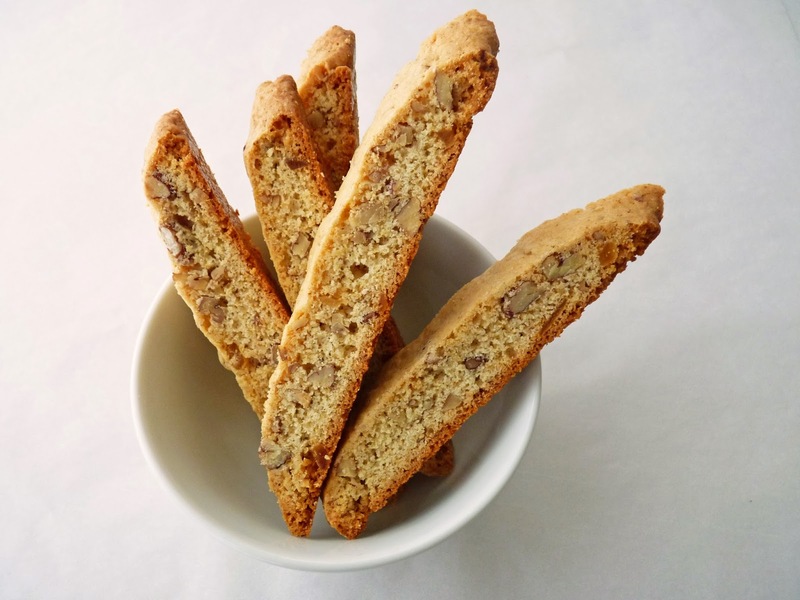 These cookies would make a supreme partner at an afternoon break for refreshment, an elegant gift for a good friend or a lovely addition to your holiday cookie platter - or a cookie platter for any season for that matter. - This dough is pretty easy to work with. Although it sounds like a bit of work to prepare these, it really is quite simple once you get the idea of how to roll up the dough. - Sugar is used generously to prevent sticking as you roll out the dough and to ensure that the cookies will caramelize properly. I also use a bench scraper to gently loosen any dough that appears to be sticking. - Every oven has its own personality. 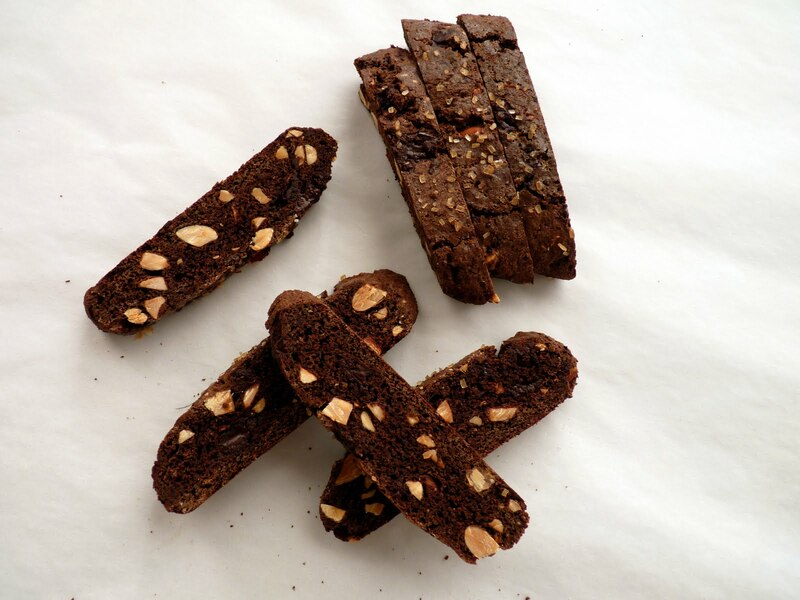 Should the cookies brown at different rates, remove the darker ones and let the lighter ones continue to bake. - I sliced mine a bit too wide and they took twice as long to bake. - While the recipe calls for an ungreased cookie sheet, I used a silpat. - The cookies will keep in an airtight container for at least a week. Place the flour, sugar and salt in the bowl of a food processor. Pulse to combine the ingredients. Cut each stick of butter into eight pieces. Cut the cream cheese into pieces. Add the butter to the flour mixture and pulse until the mixture resembles very coarse bread crumbs. Add the cream cheese pieces and pulse until the dough begins to clump together, about 30 seconds. Pour the dough out onto a work surface and gather it gently. Divide it in half and flatten into 2 squares. Wrap and chill until firm. Remove the dough from the refrigerator and let it soften for about 15 to 20 minutes. Mix the sugar with the cardamom. Transfer 2 tablespoons of the sugar mixture to a small cup and mix in the salt. Set aside. Divide the remaining cardamom sugar in half. You’re going to use each half of the sugar for each dough packet. To begin forming one packet of dough, sprinkle the work surface generously with cardamom sugar. Set the dough on the sugared surface and sprinkle it with more sugar. Roll out the dough, generously sugaring the work surface and the dough and lifting the dough to be sure it isn’t sticking. The desired shape is a rectangle 24” x 8” and about 1/8” thick. Trim the rectangle to form clean edges. Mark the center of the long side of the dough with a small indentation. Starting at one short edge, fold about 2 1/2” of the dough almost one-third of the distance to the center mark. Do not stretch or pull the dough. Continue to loosely fold the dough toward the center three times, leaving a scant 1/4” space at the center mark. Repeat with the other end, folding it in the same fashion toward the center three times, leaving the 1/4” space at the center. The dough should now resemble a narrow open book. Fold one side of the dough over the other side, as if you are closing the book. You should have an eight-layer strip of dough about 2 1/2” wide and 8” long. Sprinkle the remaining cardamom sugar under and on top of the dough. Roll gently from one end of the dough to the other to compress the layers together and lengthen the strip to about 9”. Wrap the dough loosely in parchment or waxed paper (plastic wrap will cause moisture to form on the outside of the sugared dough). Place in the refrigerator to chill. Repeat this process for the second dough packet. Chill the formed dough for at least 30 minutes. Position racks in the upper and lower thirds of the oven. Preheat the oven to 375 degrees. When the oven is ready, remove one packet of dough from the refrigerator. Trim the ends of the roll and cut into 1/3” slices. Place them on an ungreased baking sheet about 1 1/2” apart. Bake until the bottom of the cookies are golden brown, about 8 - 10 minutes, rotating the pans from top to bottom and front to back about halfway through baking. Remove the pans from the oven and gently turn the cookies over. Sprinkle each cookie generously with the reserved salted cardamom sugar mixture. Return the cookies to the oven and bake until they are a deep golden brown, another 3 - 5 minutes. Rotate the pans and watch the cookies closely at this stage of the baking to prevent burning. Transfer the cookies to rack and cool completely. Repeat with the remaining dough. Fall is definitely in the air. It’s time to turn the corner and begin to focus on the flavors and spices of the new season. The weather will bring a crisp chill, the leaves will rustle and soon we’ll be turning back the clock. The moment has arrived for apples and pears, quince, lots of spice and chocolate. This is a scone/shortcake recipe from Cindy Mushet that is reminiscent of a light gingerbread. It has a different texture but features the same sort of warm mixture of spices and a small dose of heady molasses. The food processor does all the work, so there is minimal handling and then a quick 14 minute bake in the oven. 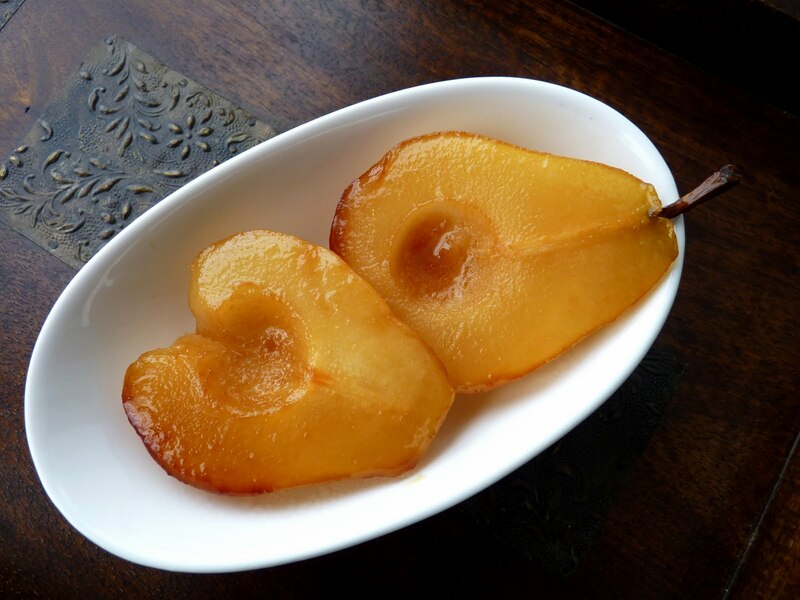 I serve them here with pears and whipped cream but they’d also be really fabulous with some apples sautéed in a bit of butter, sugar and a pinch of cinnamon. The aromas and flavors are perfect for this time of year. - Unless you really love cloves, I recommend reducing the amount of ground cloves, which can really overpower other spices. The recipe calls for 1/2 t and I’d probably reduce by half from 1/2 t to 1/4 t and also increase the cinnamon to 1 3/4 t. Maybe add a little pinch of nutmeg. - Once the dough is mixed in the food processor, handle it very little to ensure tenderness. Gather it together on your work surface and gently press it to form a cohesive circle, making sure the edges of the circle are firm. - I used Bartlett pears. D'Anjou would also be nice. - For a richer dessert, Cindy Mushet includes a recipe in her book for Cider Sabayon made with Calvados to use in place of whipped cream. - These shortcakes would probably be great with sautéed bananas or a plum compote. - It's very easy to over whip heavy cream. As it begins to thicken, stop every few seconds and check for a very soft peak. 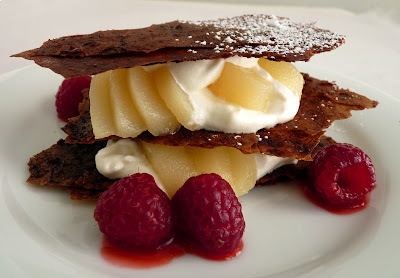 - Dress up the whipped cream with a little splash of brandy or rum. - Serve these as breakfast or brunch scones with a delicious pumpkin or apple butter, pear or raspberry jam. - Shortcakes and scones should be eaten the same day. 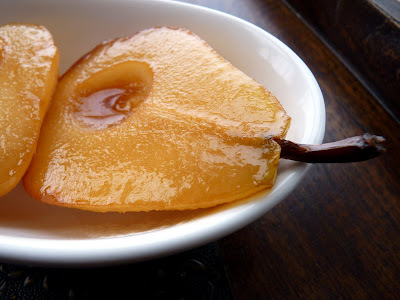 To poach the pears, bring the water, sugar, lemon juice and vanilla bean to a low simmer. Peel and core the pears. Cut them into 1/4" slices, placing in the poaching liquid as you go. Simmer for about 10 - 15 minutes until tender. Remove from heat and cool completely. For the shortcakes, preheat the oven to 425 degrees. Line a baking sheet with parchment paper or a silpat. Place the flour, spices, brown sugar, baking powder, baking soda and salt in the bowl of a food processor and process for 10 seconds to blend. Add the cold butter pieces and pulse about 5 times or until the butter is cut into smaller pieces. Combine the buttermilk with the molasses, add and pulse just until the dough starts to hold together in large, thick clumps. The mixture will look a bit like dark lumpy cottage cheese. Pour the dough out onto a lightly floured work surface. Gather the dough and gently pat together into a circle about 7” in diameter and about 1” thick. Cut the dough into 8 equal wedges and transfer to the prepared baking sheet, spacing them about 2” apart. Beat the egg with 2 teaspoons of water. Brush the tops of the shortcakes with a thin coating of the egg wash (you will not use all of it). Sprinkle generously with turbinado or raw sugar and press it gently to secure. Whip the cream, sugar and vanilla just until very soft peaks form. Gently slice the shortcakes in half with a serrated knife. 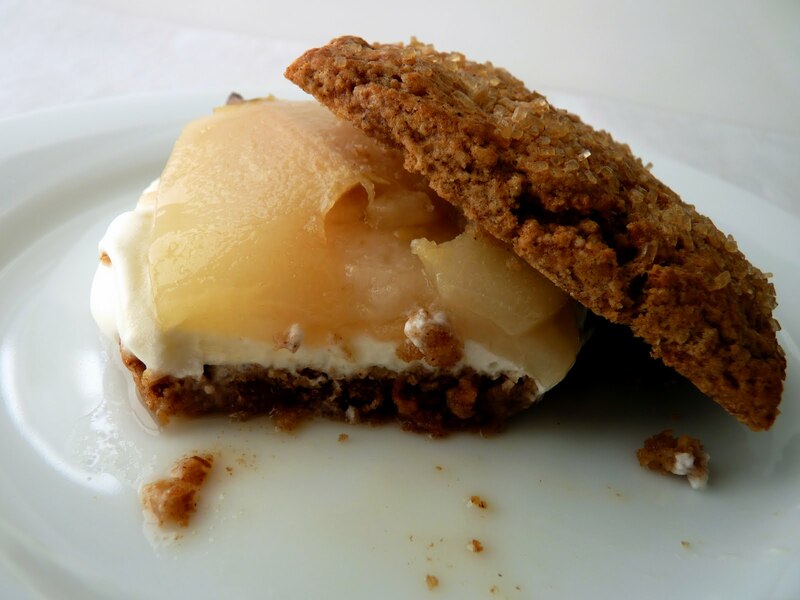 Place a dollop of cream on the bottom half and layer some pears. Drizzle with the poaching liquid and top with the other shortcake half. Serve immediately. Many years ago, if you found yourself wandering the mesmerizing landscape along the Mendocino Coast high among the cliffs and gorgeous waves, you’d probably run into a cozy little restaurant called Café Beaujolais. With a stunningly expansive coastline that seems to go on forever, Mendocino is most certainly a place to go to rest and be comforted. That version of Café Beaujolais is gone now but some of its recipes are still with us. 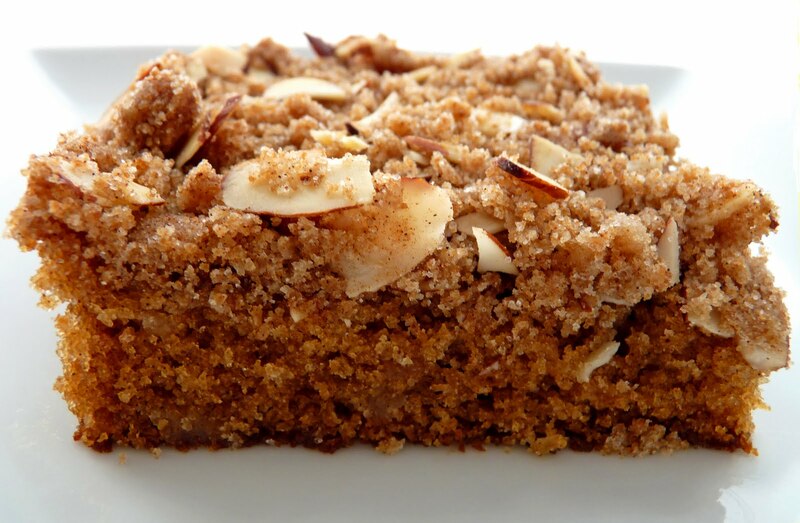 One of the things that made Café Beaujolais a destination was their coffee cake. As coffee cakes go, this one is as soothing as Mendocino itself. 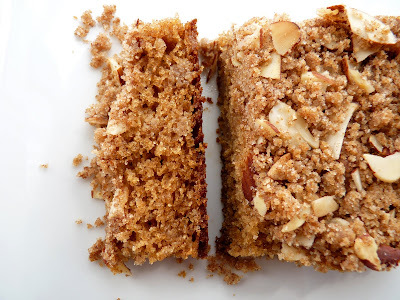 It's got a great texture with moist and spicy crumbs, lots of crumbs. It’s the kind of coffee cake that has you pressing your fingers against your plate until every last morsel is gone, chased down with your final sip of very strong piping hot coffee. As you can see from the very brief instructions, this is a very easy pastry to prepare. File it away in case you have a spontaneous need or desire for a quick surprise for brunch or a meeting where you’d like to lend a touch of warmth and friendship. - The finished cake is only about 1” tall, so the servings are fairly modest. I haven’t tried baking it in a smaller pan for a taller cake. - The recipe calls for corn oil, which I think is an artifact of the times. I used canola oil. - This is a delicious cake. My personal preference is another recipe from Margaret Fox, which I posted as the Mendocino Coffee Cake. 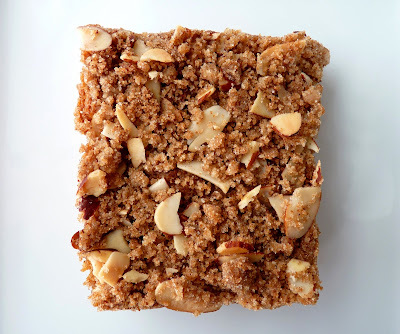 I love that streusel with its combination of espresso powder, cinnamon, cocoa and walnuts. Prepare a 9" x 13" baking pan with butter. Stir together the flour, brown sugar, granulated sugar, 1 teaspoon cinnamon, salt and ginger. Add oil and gently mix in. Remove 3/4 cup of the mixture to another bowl and combine with almonds and remaining 1 teaspoon cinnamon to form a streusel. Set aside. To remaining flour mixture, add baking powder, baking soda, egg and buttermilk. Blend until smooth. Pour into the prepared baking pan. Sprinkle reserved nut streusel evenly over surface of batter, pressing gently into the surface just a bit. Bake for about 35 to 40 minutes or until cake tests done. Place pan on wire rack to cool. 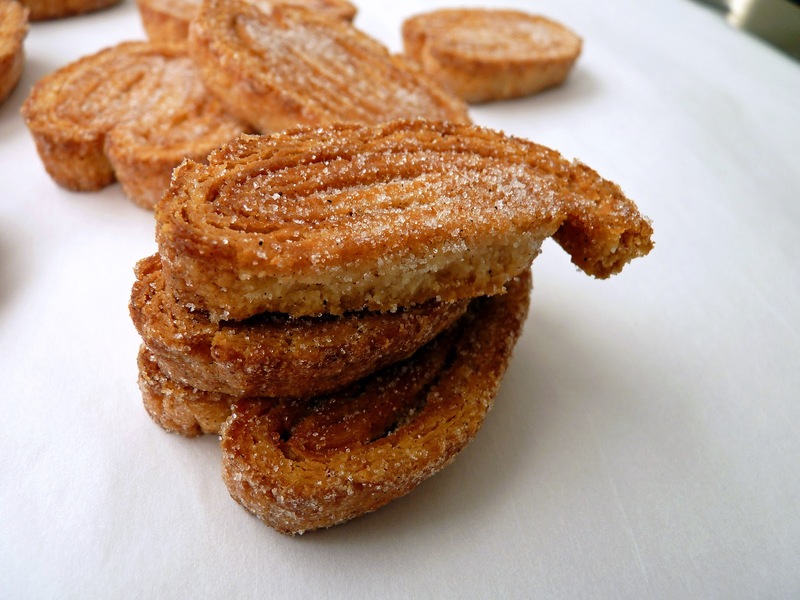 One of my first encounters with the world of cinnamon was making cinnamon toast as a kid. I would toast a slice of bread, swipe a bit of butter and then sprinkle with sugar heavily dosed with cinnamon. I think it’s where I first learned to appreciate the unmistakable allure of this spice. 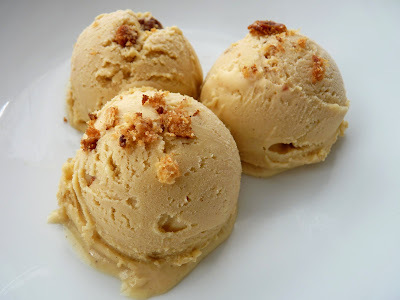 Even so, when I first saw this recipe for Cinnamon Toast Ice Cream from Gourmet magazine, I thought it sounded kind of strange. 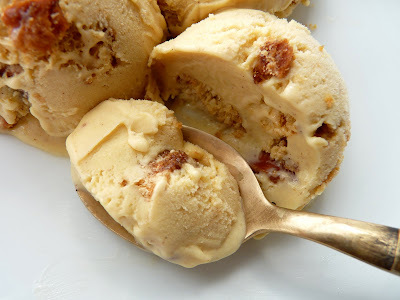 Cinnamon toast cubes in ice cream? How would that work? To satisfy my curiosity, I decided to make a batch. To begin this adventure, the recipe calls for steeping a cinnamon stick in some hot milk. The next step is to douse some bread cubes in a mixture of melted butter, brown sugar and cinnamon and then toast them in the oven. The smell of that alone is enough to keep you going. Some of that toasted bread is then infused in the cinnamon milk for a few minutes. From there, you strain the milk and make a custard, chill the base, then freeze in your ice cream maker and fold in the toasted cinnamon bread cubes. Done! Somehow the toasted bread oddly maintains its crunch despite being submerged in a luxurious cinnamon ice cream. Strange, I know, but the result is this very fascinating ice cream that really does replicate the flavor sensation of cinnamon toast. It’s a wonderful dose of cinnamon and totally reminiscent of my infatuation with this spice that began early in my life. So if you’re a cinnamon toast fan and would like to enjoy some ice cream that is off the beaten track, give it a go!! - The original recipe recommends white sandwich bread but I think even using your favorite bread, such as pain de mie, whole wheat or levain, would be just as delicious, perhaps more so. I used a baguette, including the crust. - When soaking the bread crumbs in the milk mixture, keep your eye on the clock. Ten minutes is plenty or you risk having very soggy bread that can be pressed out but you are likely to wind up with less liquid. - I use Vietnamese cinnamon. I love its sweet aromatic intensity. I buy it at my local bulk grocery but you can also find it online. - Salt is an important element in most pastries and desserts. 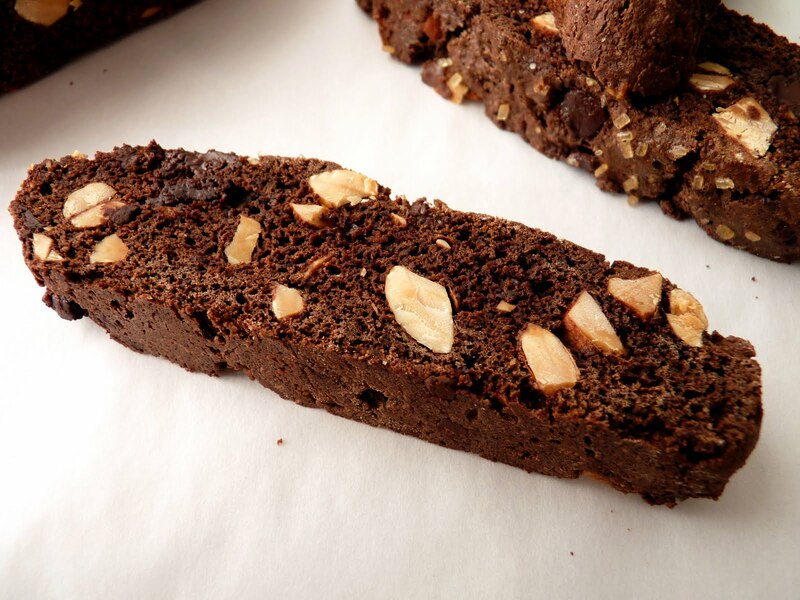 It enhances the flavor considerably, especially in dairy and chocolate. 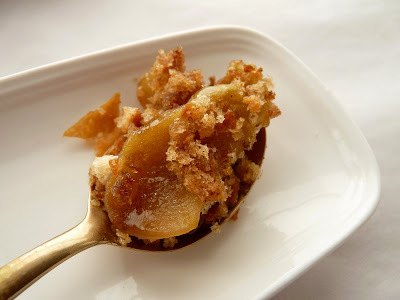 - I took a few of the toasted bread cubes and made them into crumbles for extra garnish. - The ice cream is very rich. I might reduce to 4 eggs next time. And perhaps reduce the granulated sugar by 2 T since the 2 T brown sugar used for the bread cubes is plenty sweet. Bring milk and cinnamon sticks to a slow boil. Remove from heat, cover and let steep for 30 minutes. Cut 3 slices bread into 1/4" cubes and place in a bowl. Chop remaining 2 slices and pulse in a food processor to make bread crumbs. Place those in another bowl. Line two cookie sheets with parchment. Melt the butter and whisk in the brown sugar and cinnamon. Drizzle 3 tablespoons butter mixture over bread cubes and toss quickly to coat. Spread in 1 layer on a cookie sheet. Add remaining butter mixture to the bread crumbs and stir to evenly coat. Spread crumbs evenly on another cookie sheet. Place the bread cubes and crumbs in the oven to toast, stirring occasionally and turning pans halfway through, until golden brown and crisp, about 25 minutes. Cool on a wire rack, then transfer bread crumbs to a bowl. Return milk to a boil, then pour over breadcrumbs and let stand 10 minutes. Strain milk through a fine-mesh sieve into a saucepan, pressing hard on solids. Discard bread crumbs. Whisk together yolks, sugar, molasses, and a pinch of salt. Return milk mixture to a low boil and pour into yolk mixture in a slow stream, whisking constantly until thoroughly combined. Return to saucepan and cook over low heat, stirring constantly, until mixture is thickened, coats the back of the spoon and leaves a clean track when you run your finger across it. Do not let the mixture boil. Remove from heat, immediately stir in cream and pour through a fine-mesh sieve into a clean container. Taste and adjust for salt, if needed. Let the mixture cool completely. Cover and refrigerate until completely chilled. Freeze the mixture in your ice cream maker according to instructions. Then fold bread cubes into ice cream and transfer to an airtight container. Press a piece of plastic into the surface, cover and place in your freezer to firm up. The ice cream will keep but the toast is crunchiest the first 2 days after it's made.